Product of coefficient of x2 and constant is 10. Hence the solutions are -1/10 and -1/5. The number of volleyball games that must be scheduled in a league with n teams is given by G (n) = (n2 - n)/2 where each team plays with every other team exactly once. A league schedules 15 games. How many teams are in the league? Hence 6 teams are in the league. After having gone through the stuff given above, we hope that the students would have understood, "Factoring Method Solving Quadratic Equations". 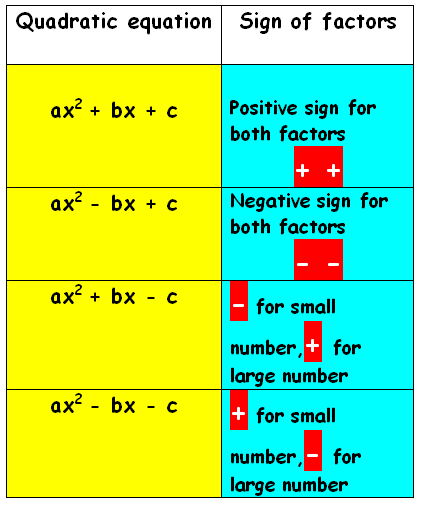 Apart from the stuff given in this section "Factoring Method Solving Quadratic Equations", if you need any other stuff in math, please use our google custom search here.